P10 S Vs Rami and measurements? 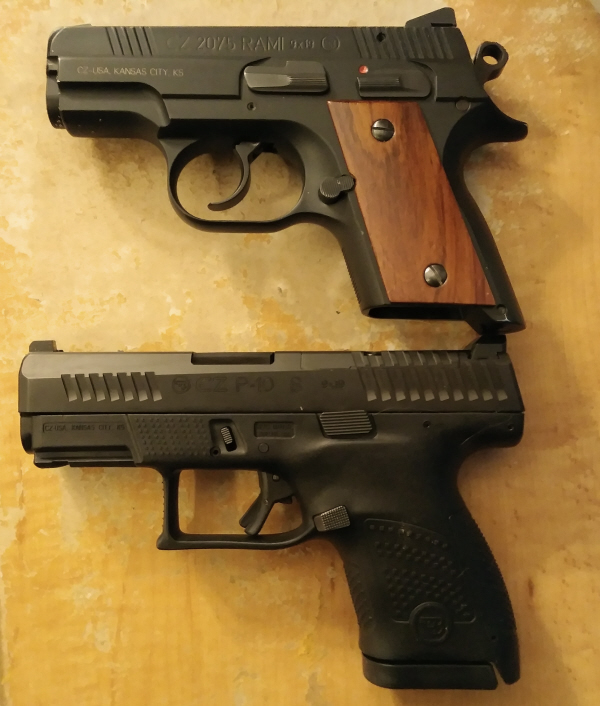 I’m trying to get an idea of the size of the P-10 S. CZ USA doesn’t have the height listed on their site yet. Can someone take the height measurement(s)? Even better, can anyone snag comparison pics of the P-10 S and the Rami? Re: P10 S Vs Rami and measurements? CZ doesn’t list the height though. I was also wondering the height as well. I’d imagine it would be slightly taller than the Rami. Well my reading comprehension score is gonna be low for today. Well, we can't find any ten round mags...so with 14 and without is the best I can do. 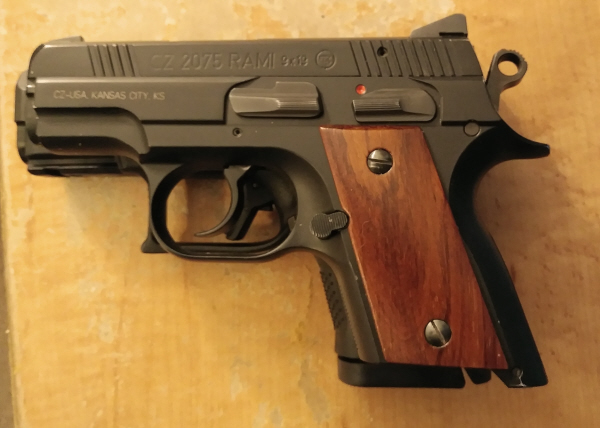 The RAMi is shorter in length and height, with the original magazine, and I know that because I could never shoot with the original ten rounders worth a darn, one reason we went with all 14 rounders. 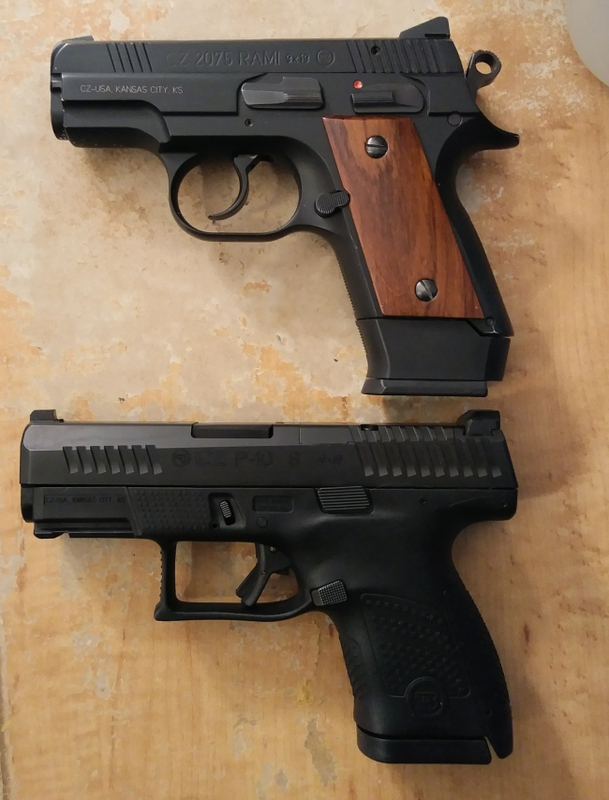 It feels beefier, fatter, and the P-10S fits ME better than the RAMI, but the wife likes them both. That BTW, is the first RAMI to make it over the Mississippi river westward. Why thank you good sir!!!! Dang that RAMI doesn't look much shorter in the height. The length is interesting. It looks like the beavertail almost makes it a wash... Or is that just the illusion of the camera? The area above the grip scallop is about the same - the spot that is hammer/beavertail and empty air on the RAMI, is striker mechanism in the P-10S. 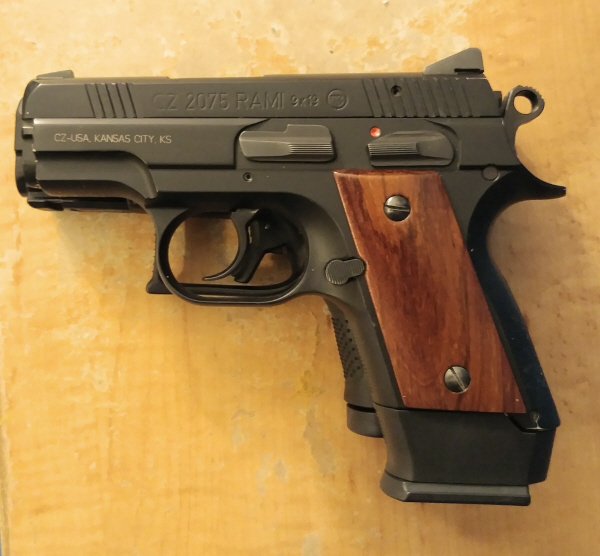 So, with that in account the RAMi appears to be maybe 1/2 inch shorter lengthwise, but with the standard mag you give up two rounds with the RAMI for a height of about the same. That S is really starting to grow on me, (pun intended) armoredman.